Another major problem haunting the locality was the indiscriminate dumping of waste in the vacant plots and burning of garbage. 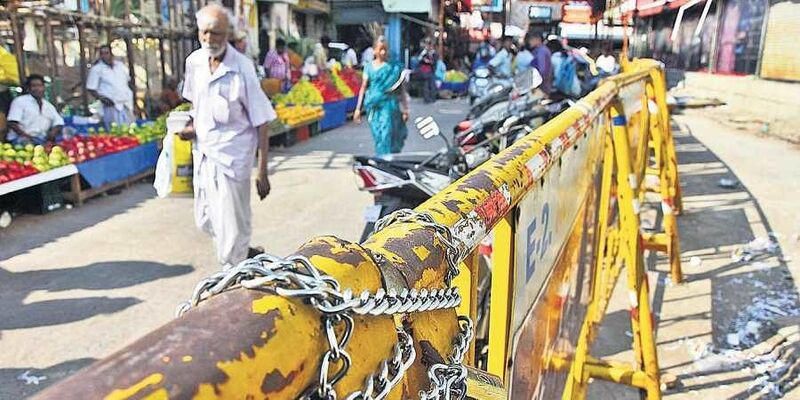 VIJAYAWADA: Beware while entering into Sitaram Nagar at Patamata Lanka as the iron barricade erected by civic body officials to prevent the entry of heavy vehicles into the locality is on the verge of collapse. The residents alleged that though the issue was taken to the notice of officials, they did not initiate steps to remove the damaged iron barricade causing much to the inconvenience of the public. “A few years ago, the civic body had erected an iron barricade at the entry point of the locality as it was adjacent to the national highway; heavy vehicles are illegally parked on the service road disrupting the traffic movement. But, a month ago the iron barricade was damaged after a heavy vehicle lost control and hit the barricade,’’ said V Seshagiri Rao, a resident of the locality. Temporary arrangements were made by some residents to prevent the iron barricade from falling. He appealed to the civic officials to swing into action and remove the damaged iron barricade before the occurrence of any untoward incident. Another major problem haunting the locality was the indiscriminate dumping of waste in the vacant plots and burning of garbage. “As the sanitation workers are on strike, there is no one to clear garbage dumped on roadside. As the civic body failed to provide alternative arrangements, we hired daily wage workers to clear garbage,’’ said Komma Seethapathi Rao, another resident. Speaking to Express, VMC chief engineer P Adiseshu said that he was unaware of the damaged iron barricade at Sitaram Nagar. He said that he would apprise Circle -III executive engineer of the situation and promised to take measures for removal of barricade in the next two days. When contacted, public health department officials said that the civic body has deployed 10 sanitation workers for each division to check indiscriminate dumping of garbage in the vacant plots. Instructions were given to the sanitary inspector of the locality and the piled up garbage will be removed at the earliest, they said.